Consumer Reports (CR) is one of the most trusted names in the world when it comes to independent evaluation of claims by product manufacturers. So when the magazine’s website published a report in February with a headline asserting “Small turbo engines don’t deliver on fuel economy claims,” the article received a great deal of attention. News organizations across the country, including the Associated Press, Jalopnik, the LA Times, Motor Trend, Reuters, the Wall Street Journal and hundreds of others, picked up the story. Not so fast, says Stani Bohac, an associate research scientist at the University of Michigan School of Engineering, who specializes in engine systems. The CR story leads with a comparison of a turbocharged Ford Fusion against non-turbo models of Toyota, Nissan, Honda and other mid-sized sedans. But that mixes together a slew of variables which might impact fuel economy, says Bohac, without actually isolating the effect of turbocharging. 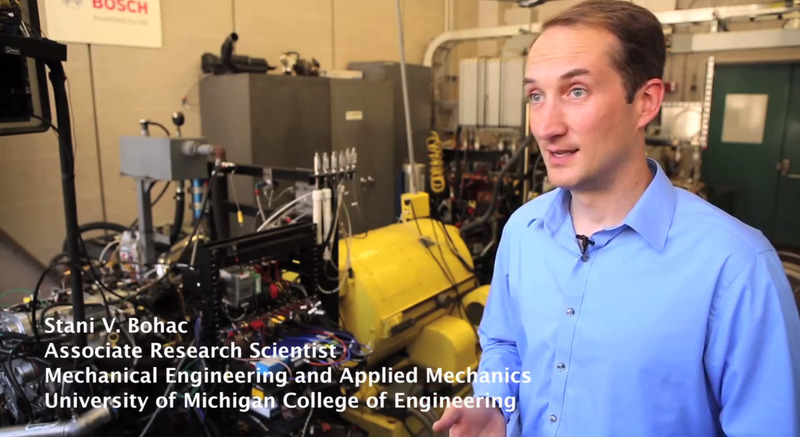 Research Scientist Stani Bohac, pictured in the University of Michigan Lay Automotive Lab, where he studies the fuel economy of internal combustion engines. CR buys its own vehicles and tests them on a track to simulate city driving and on an actual highway, says Evarts. It’s a different method than used by the U.S. Environmental Protection Agency, which tests vehicles on a dynamometer in laboratory conditions. CR’s fuel economy results are similar to EPA for conventional gas vehicles, says Evarts, but show less impressive MPG figures for hybrids, diesels ‚Äì and for downsized turbocharged engines. Turbochargers‚ which cycle air from engine exhaust through a compressor, to deliver more motive power‚ are supposed to allow smaller engines to perform like larger ones. 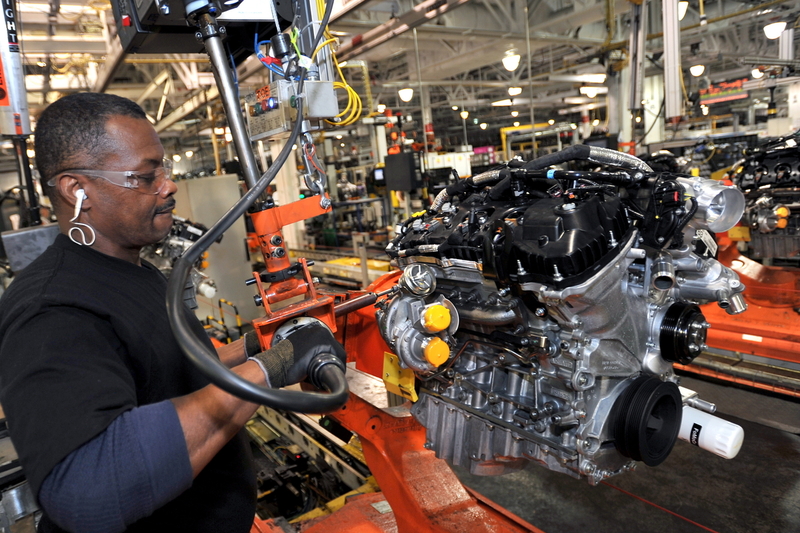 Since smaller engines use less fuel, installing downsized turbocharged engines is one of the approaches being used by auto manufacturers and suppliers to meet new federal fuel economy standards. In real-world driving conditions, Evarts suggests, drivers may accelerate more frequently to get a power boost from smaller, turbocharged engines, leading to a drop in fuel economy. If turbochargers don’t deliver as promised, manufacturers might have to go back the drawing board. Head to head comparisons, a mixed bag: CR tested 21 vehicles for its comparison of fuel economy in conventional gas engines vs. turbocharged versions. Six of the twenty-one were the same make and model with different engines, allowing for the head-to-head comparison suggested by UM’s Bohac. The results were a mixed bag ‚Äì a bit different than suggested by the article’s categorical “turbo engines don’t deliver” headline. Two vehicles‚ the KIA Sportage and KIA Optima actually had worse fuel economy in a turbocharged version. Two ‚Äì the Chevy Cruze and the Ford F150‚ showed no improvement. BMW’s X3, however, showed a 1 mpg gain in the turbo version, a 4.5% improvement. The Dodge Dart did even better, climbing from 29 mpg with a conventional engine to 31 mpg in the turbocharged version ‚Äì a 7.4% gain. Bohac is currently testing how turbocharging and other equipment can be used to boost fuel economy and reduce emissions at the Lay Automotive Laboratory in Ann Arbor. He says the technology has been proven over decades of use in heavy duty trucks, which haul large loads over long distances.